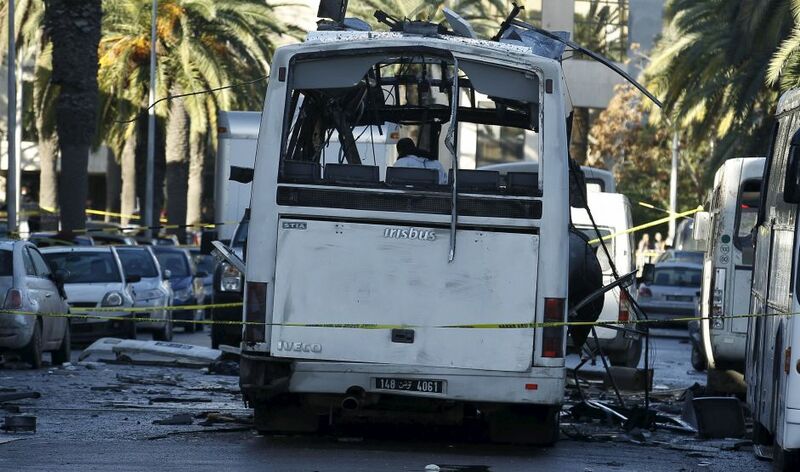 Geneva – Tunisian authorities must avoid responding violently to the November 24 attack on the presidential guard bus that caused 12 deaths and 20 injuries, urges the Euro-Mediterranean Human Rights Monitor. The spokesperson for Tunisian presidential security was quoted in the press as saying, “Restrictions on civil liberties help defeat terrorism. National security is prioritized over human rights." However, the International Covenant on Civil and Political Rights states that such restrictions are not justified even when a state of emergency has been declared. Tunisia’s Counter-Terrorism Law, adopted earlier this year, grants the nation’s security forces broad monitoring and surveillance powers and paves the way for violations of human rights. "Tunisian authorities must focus on defeating terrorism by targeting only those individuals implicated by hard evidence,” says Owen. “The people must not be the ones to endure the consequences of terrorism by having their liberties and rights censored. It is very important that governmental authority does not expand to the point that violation of citizens’ rights becomes a strong and accepted possibility, as it did in the United States after Sept. 11."